Brodsworth Hall in Yorkshire is one of the most authentic Victorian country houses in England. Its opulent interior and upstairs-downstairs lifestyle was preserved almost by accident when spiraling costs and lack of staff after World War I meant that parts of the house were simply closed off and time stood still. The gardens similarly lay dormant and neglected from 1914 until 1990, when the family gifted the estate to English Heritage. 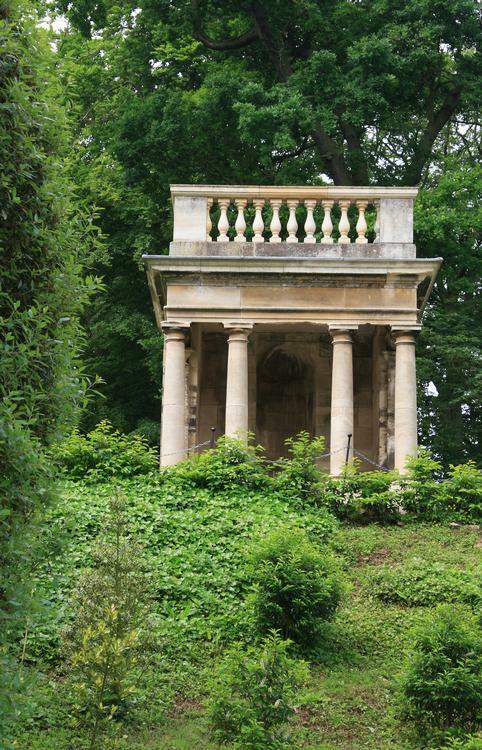 As renovation work began, workers lifted the decades of undergrowth to discover a series of grand gardens in miniature. Brodsworth Hall was built in the early 1860s for Charles Thellusson. The hall was designed in formal Italianate style by Chevalier Casentini, an Italian architect. It was said he never visited to see the finished product, fearing the pastoral countryside and blue skies he had envisaged would disappoint in real life! His design was no doubt influenced by Osborne House, Queen Victoria's country retreat on the Isle of Wight. The interior decor continues to thrill and amaze visitors. Grand salons are painted throughout in a faux marble effect - a skillful art in its own right. Hand painted wallpaper and leather-effect wall coverings make a grand impression, complemented by the chandeliers and gold gilding. The Drawing Room with its Corinthian columns has a glorious painted ceiling with ornate plasterwork of birds, flowers and decorative ornaments. Throughout the stately home everything remains just as it was in the Victorian era, right down to the prized Goodwood Cup which was won by the family-owned racehorse in 1835. Possessions which the family had collected for over 130 years, from family mementoes to grand pieces of furniture, sit in their original places. White marble statues, which begin in the grand entrance hall, continue to the South Hall and include the lovely Sleeping Venus by Argenti. The dining room is filled with valuable artworks. 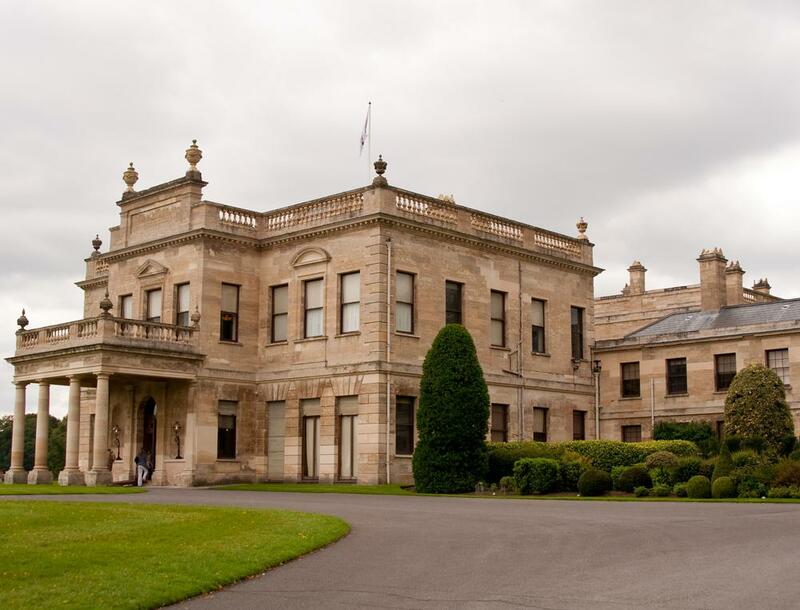 The splendour of Brodsworth Hall is matched by its impressive parkland and gardens. After the mammoth task of clearing 80 years of tangled shrubs and undergrowth, this "sleeping beauty" garden has been reawakened and restored to its former glory. 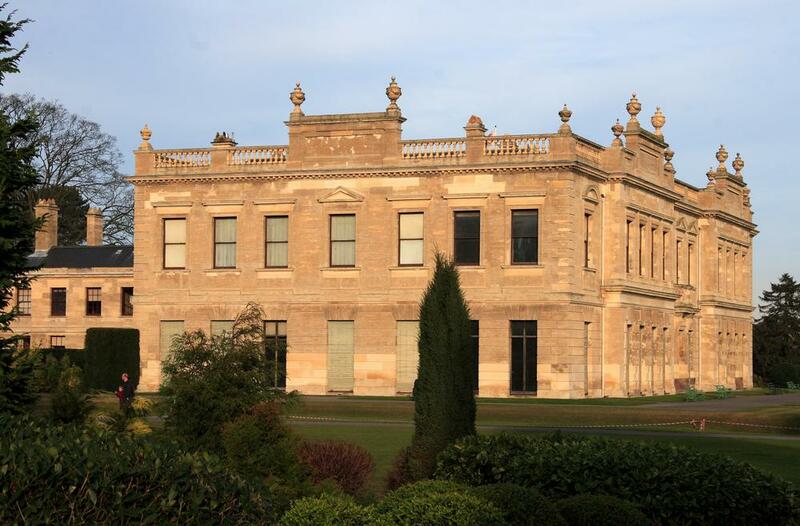 It showcases all the Victorian society must-have's - a fern dell, a rose garden, statuary, a rock garden and a summerhouse. It also has some unique features such as the Target House which was used by the family for archery practice. The 15 acres of landscaped gardens were designed as a series of individual gardens. Formal areas of evergreen shrubbery are the backdrop for symmetrical flower beds and colourful planted urns. 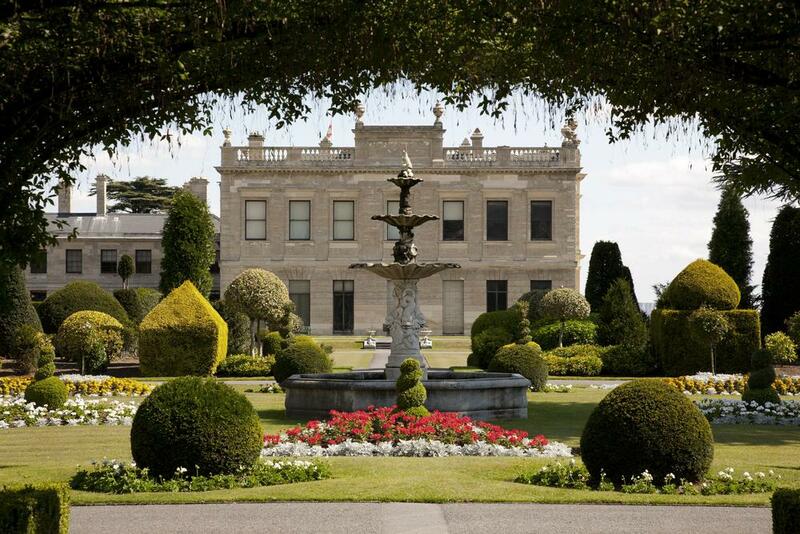 The clipped yew hedges feature alcoves for marble statues in typical Italian style. The rose garden has a restored arched rose pergola and a collection of fragrant 19th century species of Portland roses. The garden centrepiece remains the beautiful marble dolphin fountain, now flowing once again. The grove has rocky dells, ferns and grottoes linked by winding walkways and bridges. In the distance a folly is set partway up a cliff creating a popular "eye-catcher" and the pet's graveyard reminds visitors that this was once a fully functioning family home. Other features to thrill garden lovers are the 30-foot high strawberry trees which have red lychee-like fruits; the holly collection and in the spring, the period-correct tulips make a showy display. Wilfreda Beehive 203 Doncaster railway station - Mexborough, alightBrodsworth Church, then 1/4 mile walk. 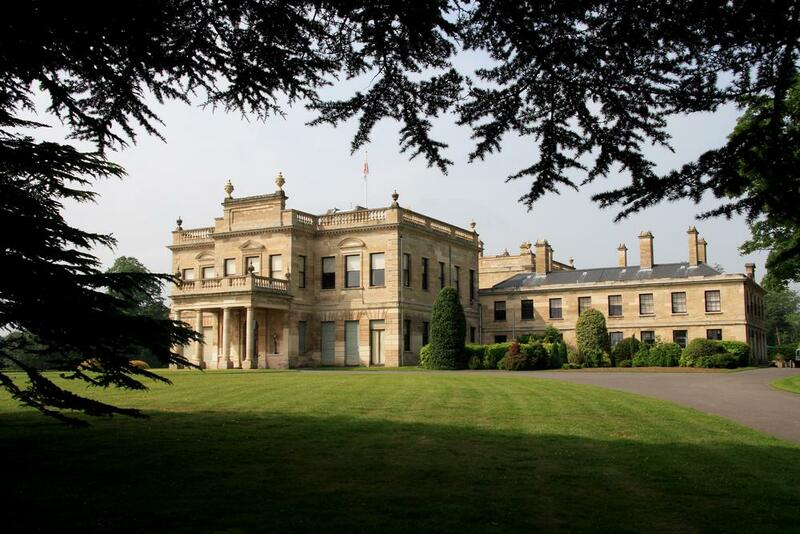 In Brodsworth, 5 miles NW of Doncaster off A635 Barnsley Road; from junction 37 of A1(M). South Elmsall 4 miles; Moorthorpe 4 1/2 miles; Doncaster 5 1/2miles.